Let me introduce Samuel to you as he will be managing the sponsorship programme in Tanzania. His passion is to see children from his home village supported through their education. The Reverend Samuel Maduma was born on 16th September 1978 at Kijungu village in the Kiteto District in Manyara region, Tanzania. He is the third child of four in the family of Maduma. He has one brother called Moses and one Sister called Esther. The first born in the family was a sister called Lucia who died in 2009 with liver cancer. Samuel acquired Primary education at Kijungu Primary school from 1987 – 1993 and in 1994 he was chosen to join Kiteto Secondary School. In 1995, when he was in form two, his father died and life became even harder for the family; so Samuel was considering leaving the school because he was unable to pay the fees. Fortunately his uncle Michael helped him enabling him to complete his studies in 1997. During his schooling time his favorite subjects were social science subjects (History, sociology and civics). During his time at secondary school Samuel met Jesus and felt God was calling him to serve in the Church. Soon after he completed his secondary education he started to work in the Church as Youth Coordinator at St. Philip’s Parish in Kibaya. In 1999 Samuel was sent by the Church to Munguishi Bible College in Arusha to study Theology. In 2004 he completed his Theological Studies and returned to Kiteto to continue with the work of God. In 2005 he was ordained to be a Minister and made a tutor to train Evangelists and Pastors at Kiteto Christian College, under the Leadership of Bishop John Hayden in the Kiteto Diocese. In 2009 Samuel was appointed to Diocesan Secretary in the Anglican Diocese of Morogoro. He worked in this position for two years after which he went for further study at St. John’s University of Tanzania where he acquired Bachelor and Master’s Degrees in Theology and Contemporary Issues. His current position is Principal of Morogoro Bible College, alongside studying for a Doctorate in Transformational Leadership. 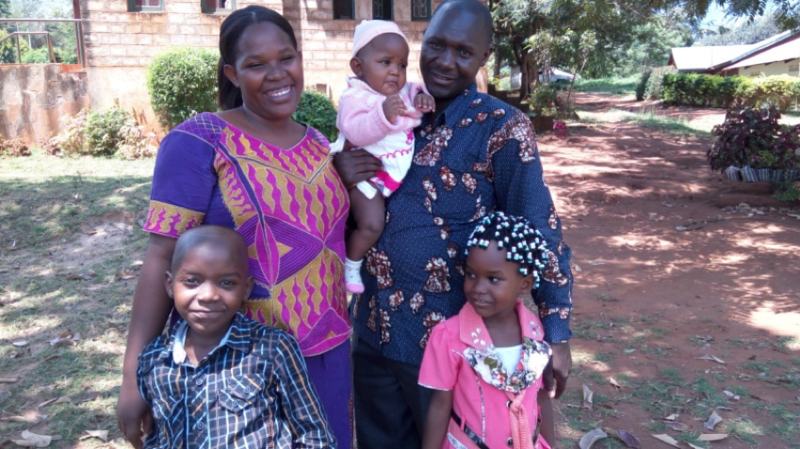 Samuel married Neema in 2007 and they have three children, Emmanuel, Victoria and Leah. Neema holds a Diploma in Childhood Development. Samuel’s passion is to see his community in Kijungu transformed. Because of his knowledge and experience of the poor social-economic conditions he witnessed in his family and his community, Samuel started initiatives bringing poverty down. He believes that is an achievable goal and has started partnership with Empower a Child in order to fight for social-economic betterment of the people of Kiteto and Tanzania in general. Please encourage Samuel and Neema by joining them in their initiative so that they are able to fulfill their dream of transforming this community for the glory of God.